So I'm actually finding it slower working on this smaller To have and To Hold design than I found Land in Sight. I think this is because the Land in sight had lots of blocks of colour while this one the colours are everywhere. 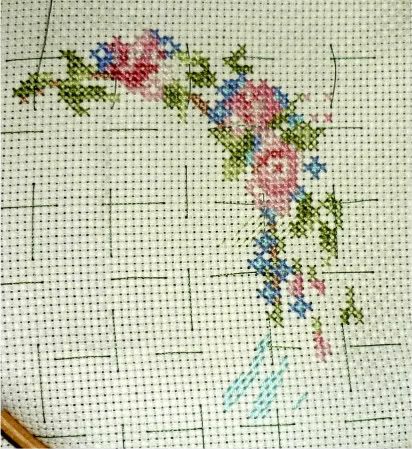 I've had to go back a number of times and put in one more stitch in a colour I've missed. But here is my update and now I have to go to work and sing, sing, sing! It looks like it's coming along nicely! !